HELLBRINGER’s debut strike is available again on Vinyl. PENTACLE, on of the most consistent and loyal Death Metal hordes, are currently in the studio to record a BRANDNEW album!!! 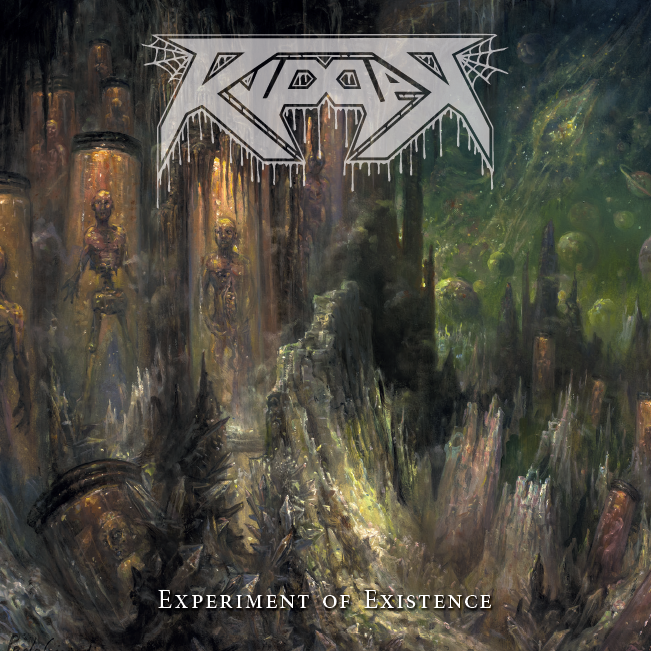 Expect nothing but a total manifest of intense and morbid true Death Metal! 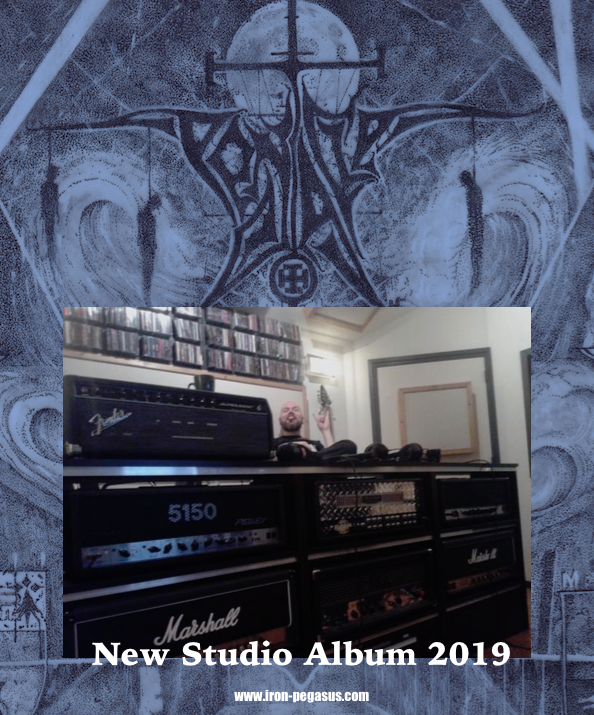 IRON PEGASUS RECORDS is proud to unleash that monster album upon you in Autumn 2019. 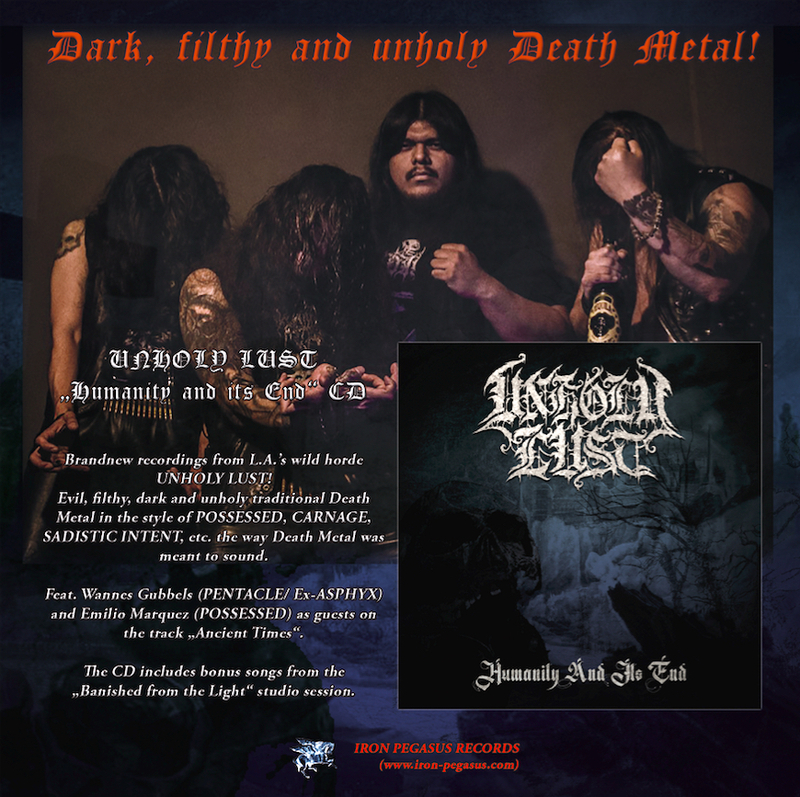 Los Angeles’ unholy Death Metal horde UNHOLY LUST will invade Europe in May for some Live Gigs to promote their latest crushing release “HUMANITY AND ITS END”! True Death bangers, don’t miss to catch the band live! More gigs will be announced soon…. 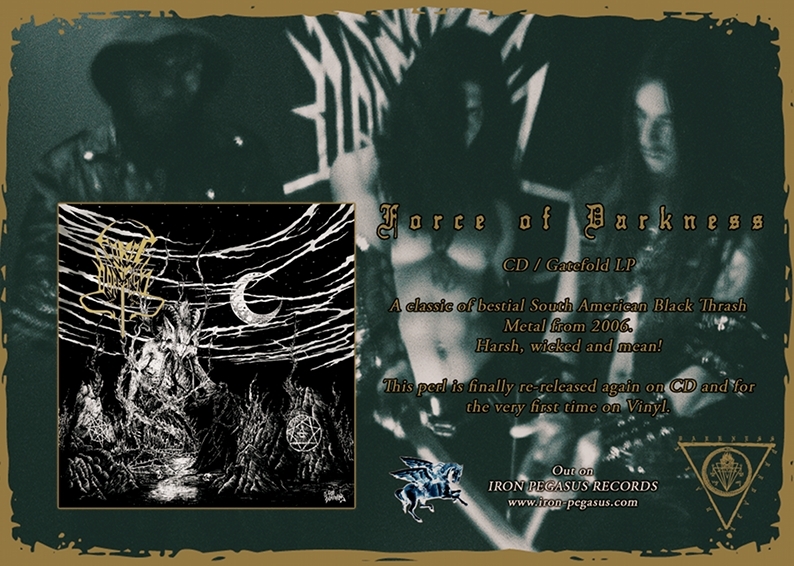 The debut release of a new dark force. Incl. 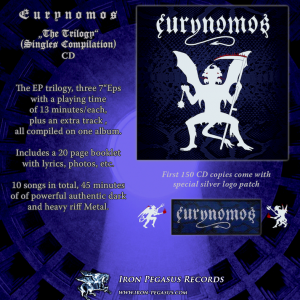 the members of EURYNOMOS and the original voice of CRUEL FORCE. CD (first 150 copies come with a noble golden logo patch) and VINYL is OUT NOW! 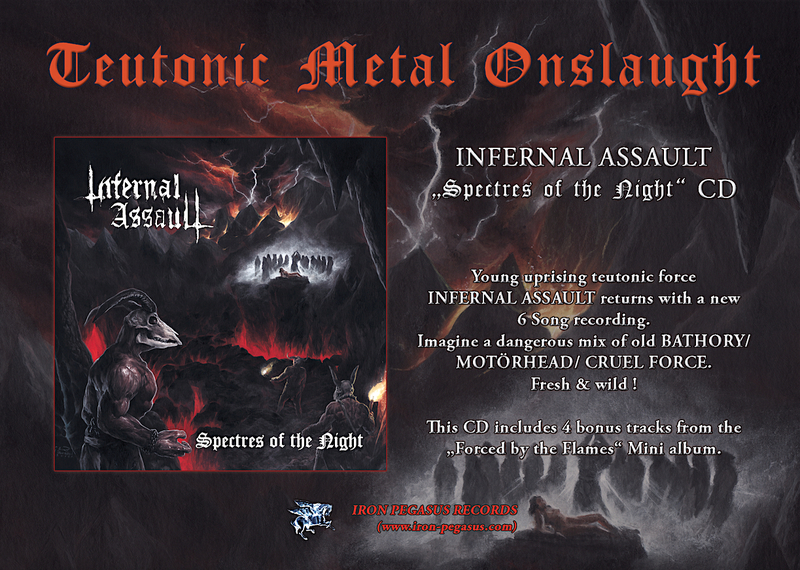 Young uprising teutonic force INFERNAL ASSAULT with a new 6 Song recording. 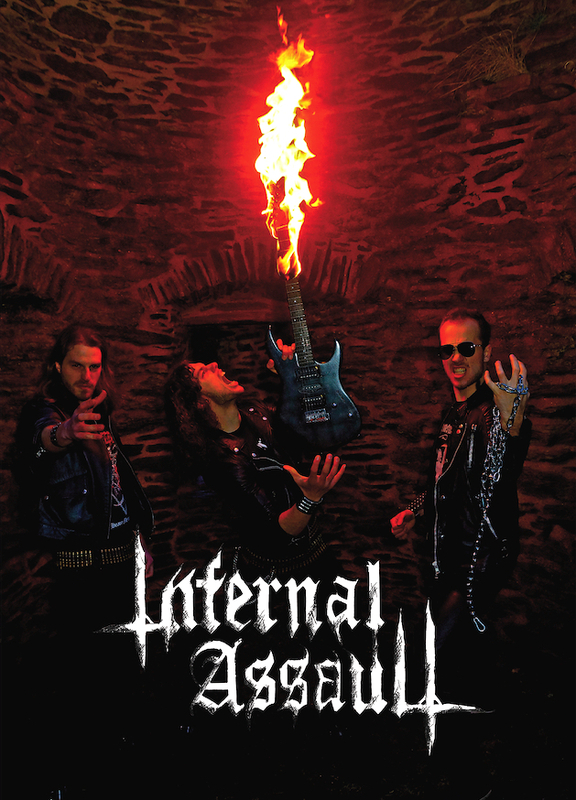 INFERNAL ASSAULT sold their souls to the old school Metal sound. Imagine a dangerous mix of old BATHORY/ MOTÖRHEAD/ CRUEL FORCE! This CD comes with 4 bonus tracks from their „Forced by the Flames“ Mini album. 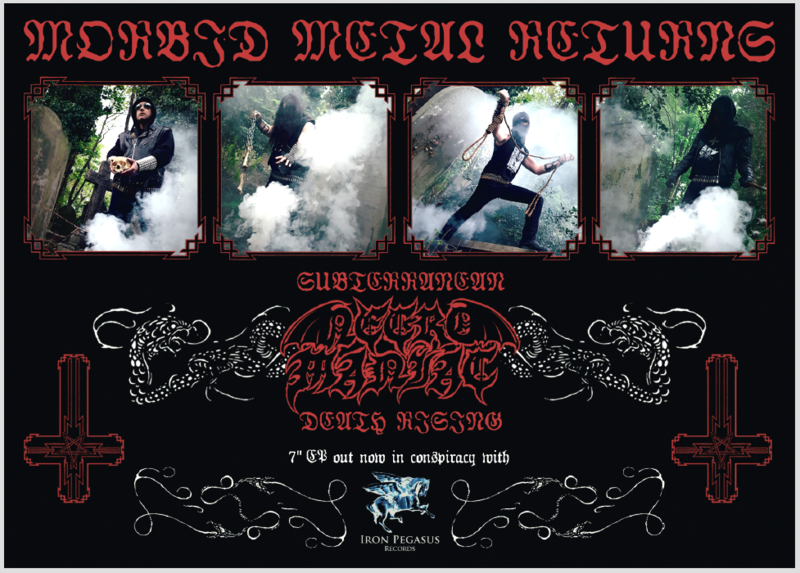 After their highly praised „Morbid Metal” demo tape, London based NECROMANIAC deliver their first Vinyl release, a 7“EP called „Subterranean Death Rising“. 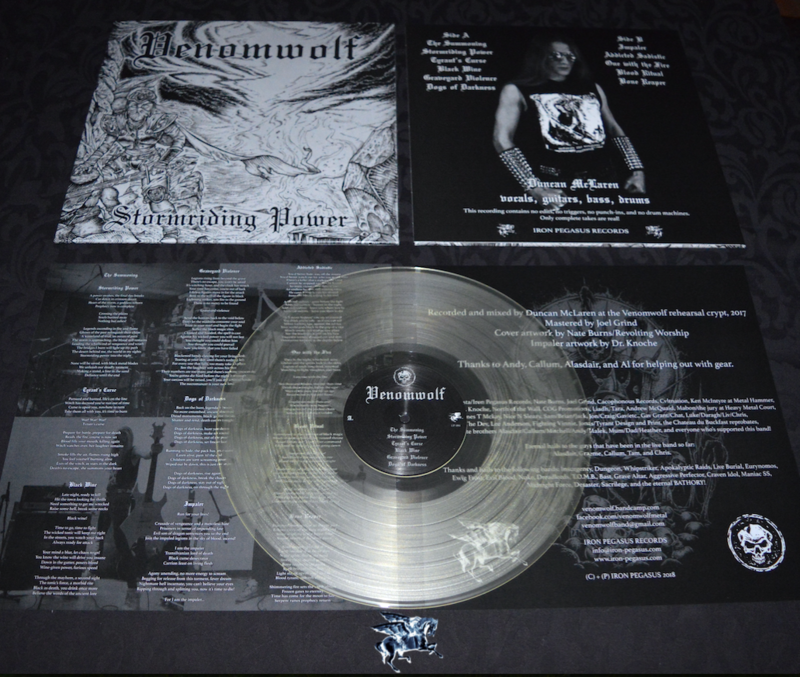 VENOMWOLF „Stormriding Power“ Debut Album! 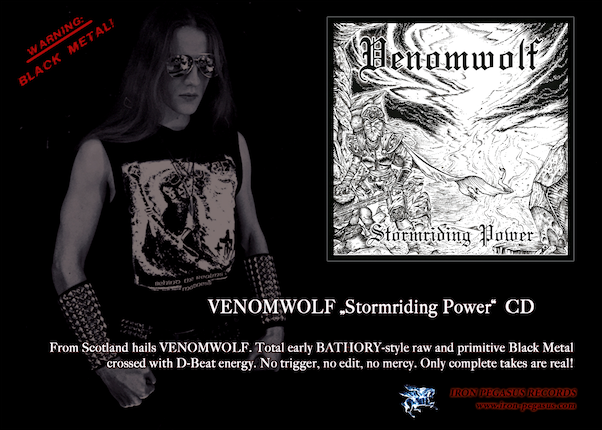 From Scotland hails VENOMWOLF. Total early BATHORY / VENOM / DARKTHRONE -style raw and primitive Black Metal crossed with D-Beat energy. No trigger, no edit, no mercy. 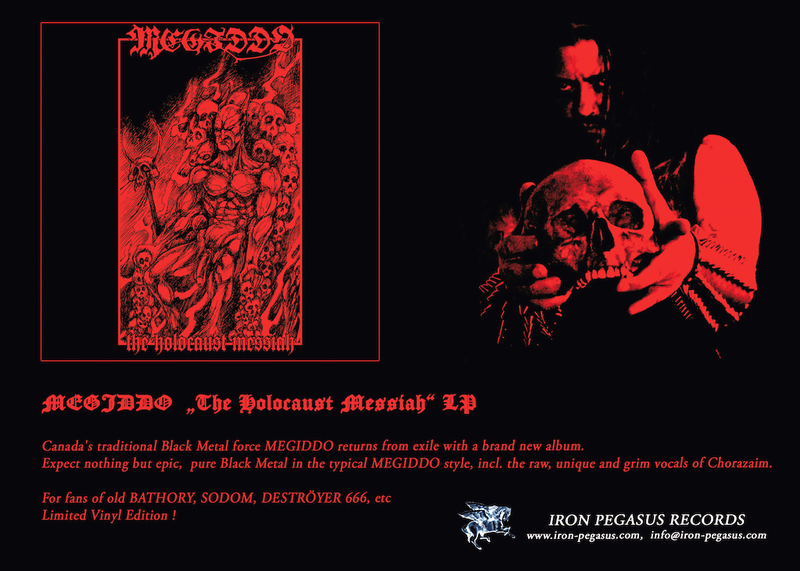 Mastered by Joel Grind (TOXIC HOLOCAUST). New edition of a Vinyl rarity is OUT! This time with an alternative frontcover and updated layout. 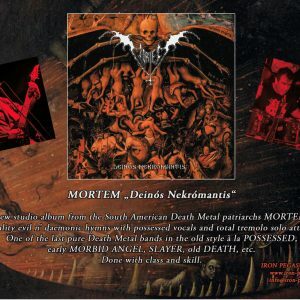 Hails to the South American Death Metal Patriarchs. A warm up release for a possible European Tour ! Two Sabbatical classics… out now !!! New Vinyl version of the third hard to find studio album. Silver print this time, incl. lyrics. Comes with special bonus tracks. Essential for true old school Black Metal maniacs! 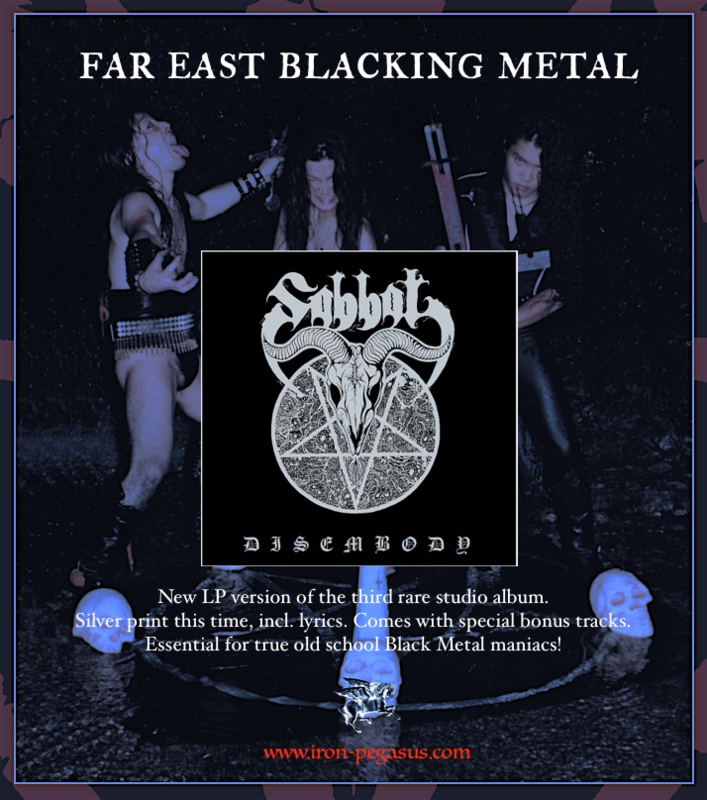 SABBAT’s legendary debut album, finally on CD with 4 bonus studiotrax! One of the most popular releases from the land of the rising sun. 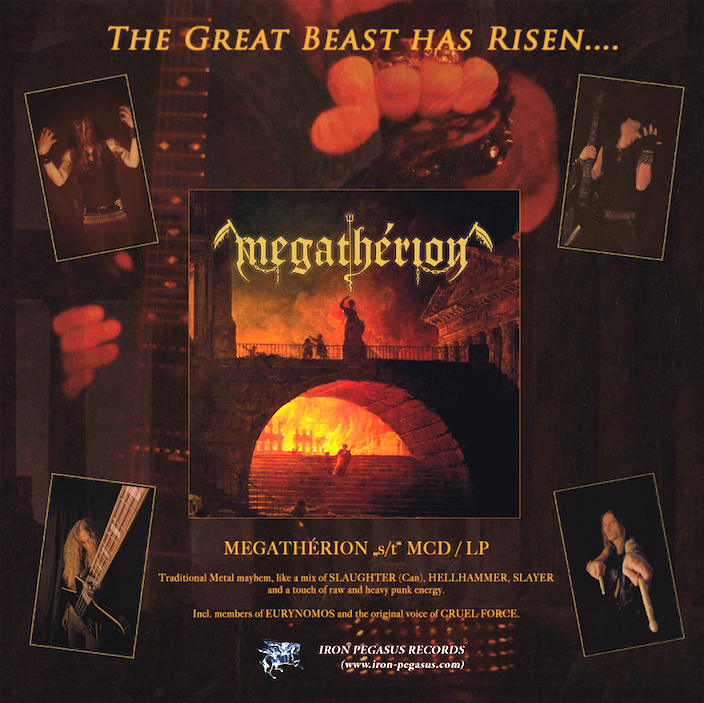 Black Metal in the old venomous tradition, with NWoBHM influences and TOP guitarsolos. Incl. 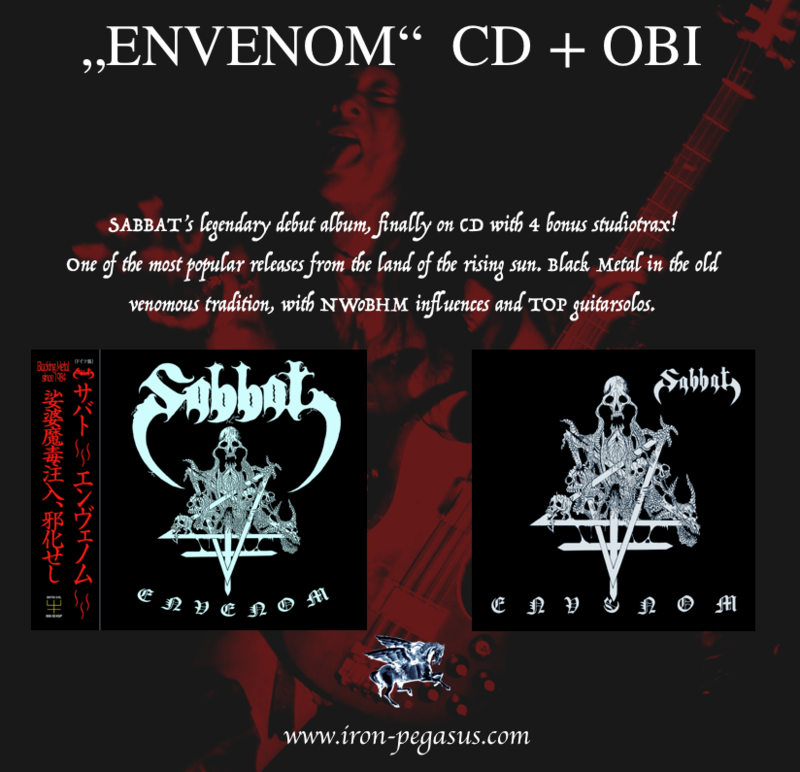 Classics such as „Evil Nation“, „Satan Bless You“, etc. ESSENTIAL for all true traditional Headbangers! New Split 7″EP, out now!!! Feat. NEW Studio Recordings! A Split of Japan’s most legendary bands. 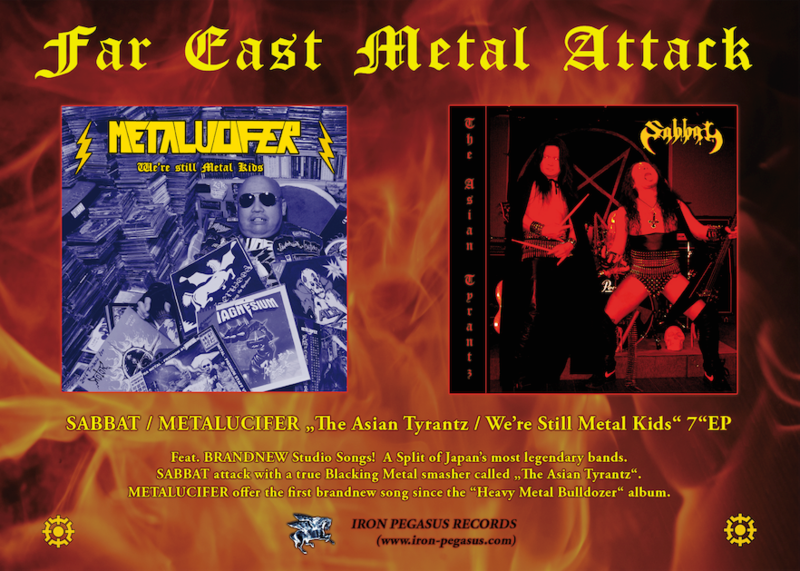 SABBAT attack with a true Blacking Metal smasher called „The Asian Tyrantz“ and METALUCIFER offer the first brandnew song since the “Heavy Metal Bulldozer“ album. Second album. Total storm of high quality hard Thrash Metal in a furious style, a mix of SADUS, MORBID ANGEL, old SEPULTURA. etc, considered one of the best releases during the last years. 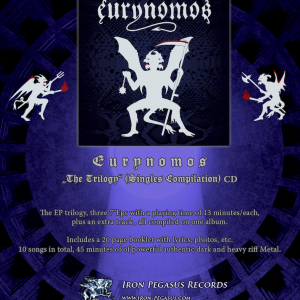 European version with different layout. FINALLY OUT ON NOBLE GATEFOLD LP! 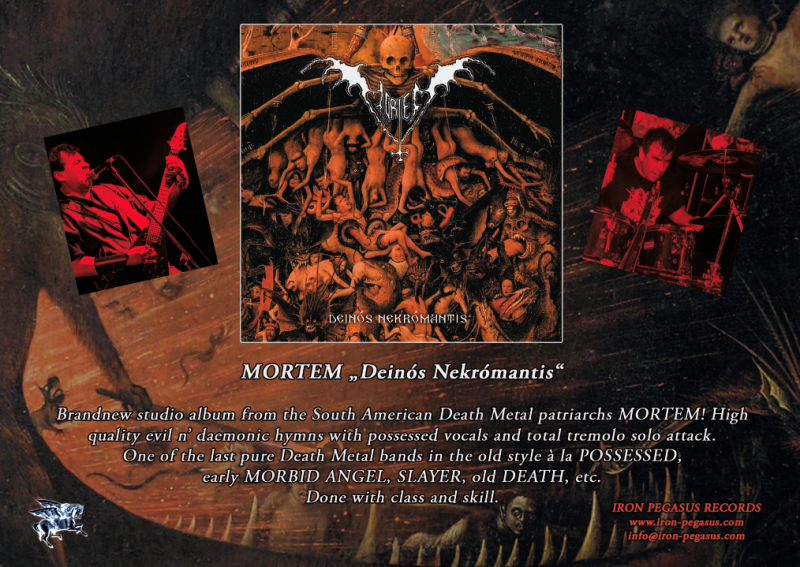 “DEINÓS NEKRÓMANTIS”, the brandnew studio album from the South American Death Metal patriarchs MORTEM, is out on CD and VINYL! Regarded as the “Best Death Metal Album in 2016” from VOICES FROM THE DARKSIDE Magazine and many Headbangers worldwide! Two Death Metal veterans sharing one 12’inch. 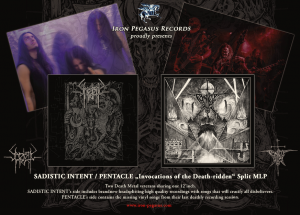 SADISTIC INTENT’s side includes brandnew headsplitting high quality recordings with songs that will crucify all disbelievers, PENTACLE’s side contains the missing vinyl songs from their last deathly recording session. 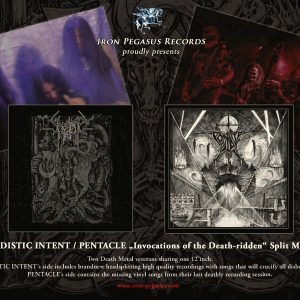 Both SADISTIC INTENT and PENTACLE will tour through Europe within the next weeks. After lots of requests, a Compilation album of the Singles called „The Trilogy (Singles)” CD is out! The EP trilogy, three 7“Eps, all compiled on one album. Includes a 20 page booklet with lyrics, photos, etc. 10 songs of Powerful authentic dark and heavy riff Metal that honours the pioneers of the extreme Metal genres. 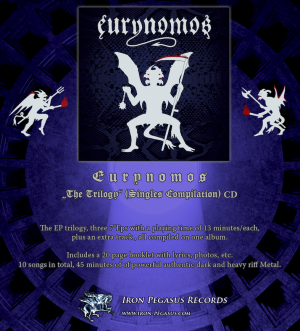 EURYNOMOS salute all the Metal Maniacs who supported the 7“EP concept. As a special “Thanks”, the band offers the extra track of the CD, „GONE DOWN IN FLAMES“, as a FREE download (high quality wav format). Download it here and play it at maximum volume! 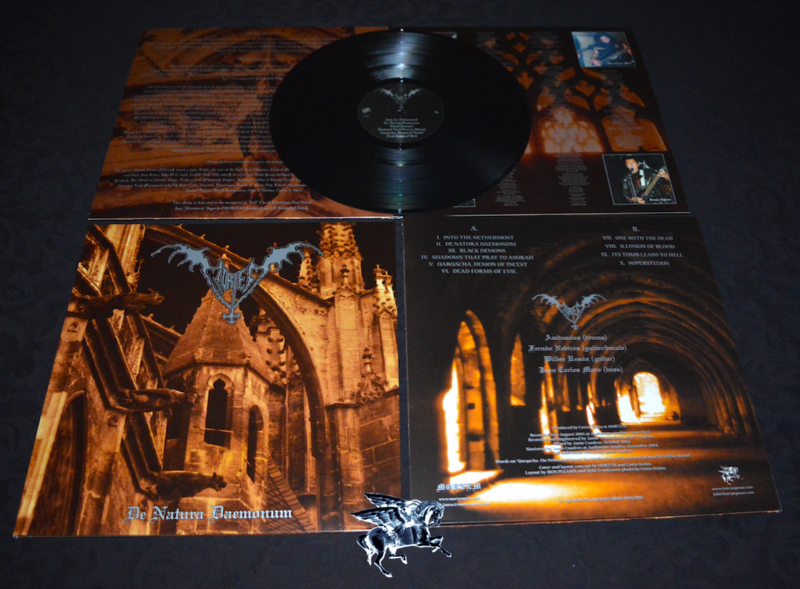 “RECLAMATION OF THE FALLEN” 7″EP is OUT! It is the very first release of a new band: „KAM LEE“. 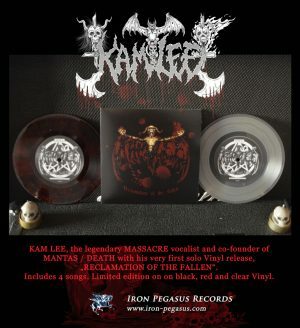 Kam Lee is known as one of the true pioneers and Tyrants of Death Metal! He is the legendary vocalist of MASSACRE and one of the founding members of MANTAS / DEATH. This 7“inch EP includes 4 songs! Limited edition, out now – Halloween! Buy or burn in the pits of hell! 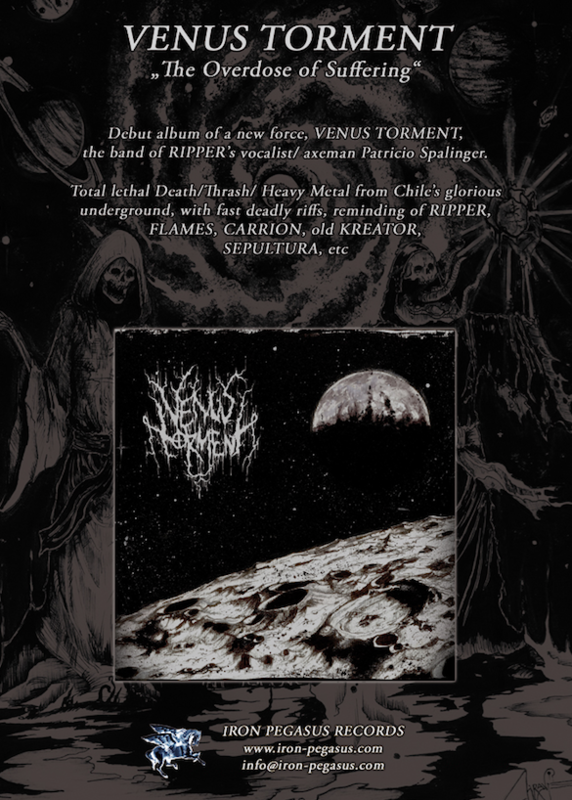 VENUS TORMENT is the band of RIPPER’s vocalist/ axeman Patricio Spalinger. 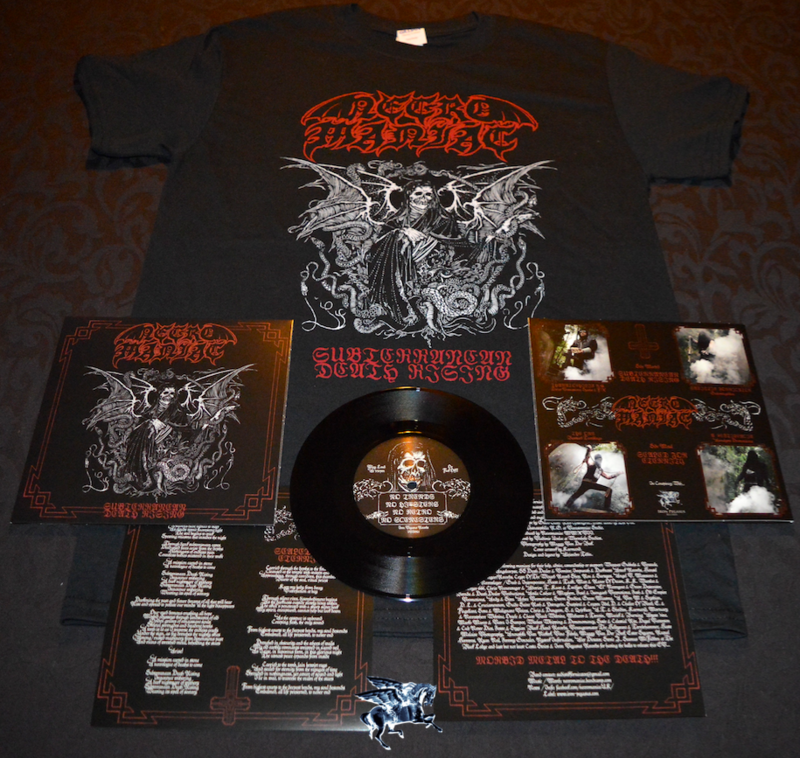 The debut album „Overdose of Suffering“ is out now on LP and CD. The band’s rare debut album from 2006 is finally re-released on CD and on VINYL (for the very first time) . 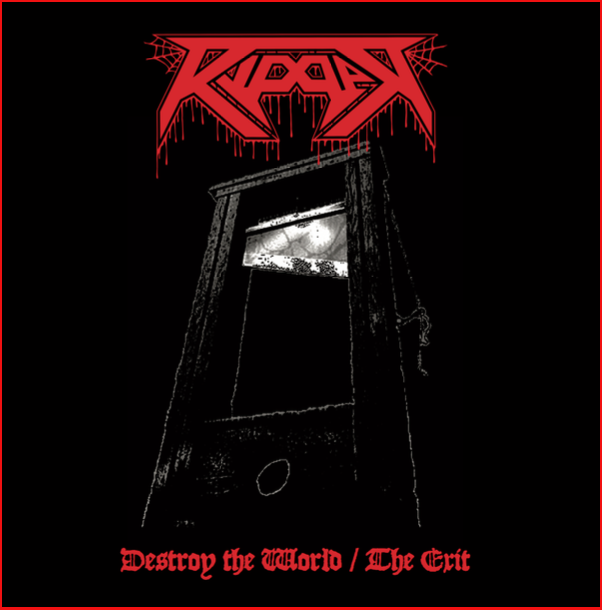 This album is already a classic of South American bestial raging Black Thrash mayhem. 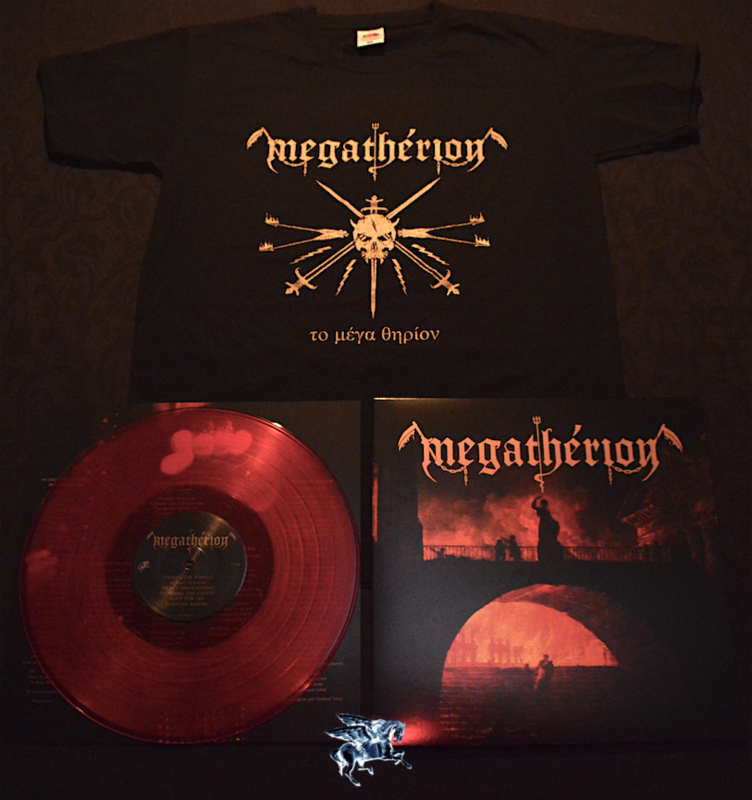 The band’s latest release, “Absolute Verb of Chaos and Darkness” (incl.5 new studiotrax) is still available on VINYL. FORCE OF DARKNESS is Chile’s hidden jewel when it comes to high quality Black Death Metal in the vein of old SARCOGAFO, INCUBUS, SADISTIC INTENT, MORTEM and explosive bands of similar caliber. 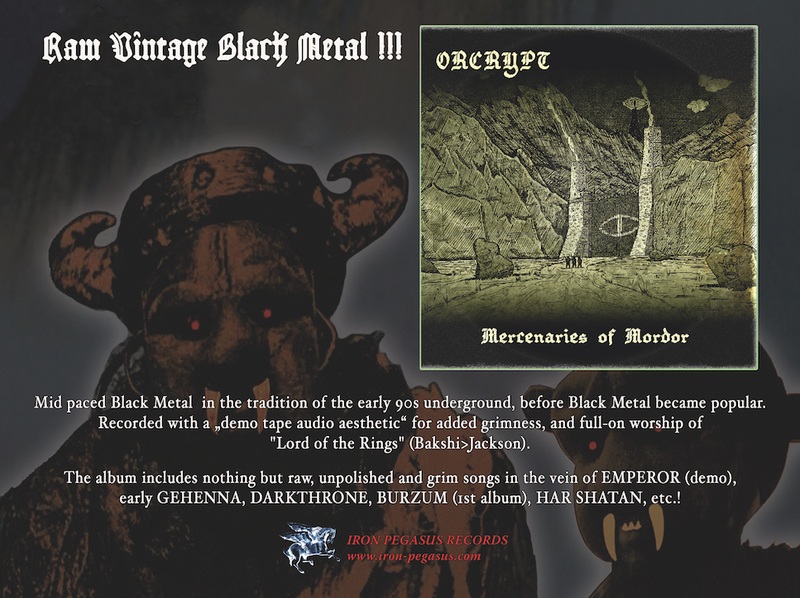 ORCRYPT is mid paced Pure Goblin Black Metal trio that plays in the tradition of the early 90s underground, before Black Metal became popular. Their album “MERCENARIES OF MORDOR” is out NOW! Recorded with a demo tape audio aesthetic for added grimness, and full-on worship of “Lord of the Rings” (Bakshi>Jackson). In the vein of early EMPEROR (demo), early GEHENNA, DARKTHRONE, BURZUM (1st album), HAR SHATAN, etc. “Further Down Into The Abyss” new updated LP Version is out. 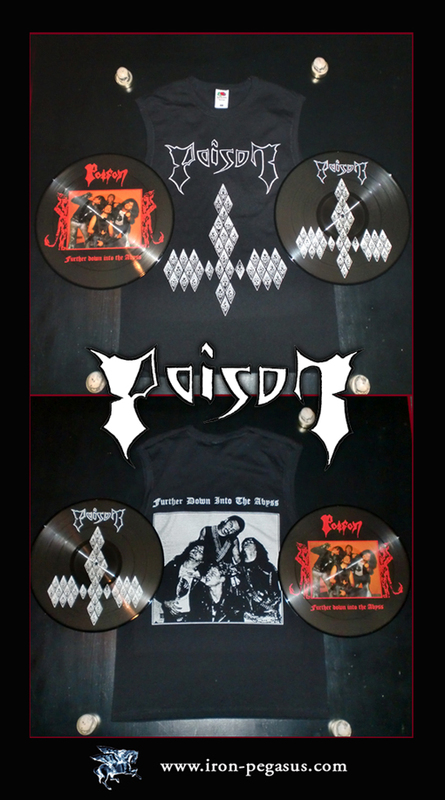 POISON‘s satanic and dark Thrash Metal was full of fresh influences back then which were VENOM, SLAYER and all the wicked bands from that time, but with an even harder and more extreme expression. This CD should kick the bootleggers asses and offer best quality possible, with old photos, liner notes, etc., done by Guitarist Uli. Without a doubt, POISON were the most extreme German band in their time when they attacked 1984 with their poisonous Black Steel! 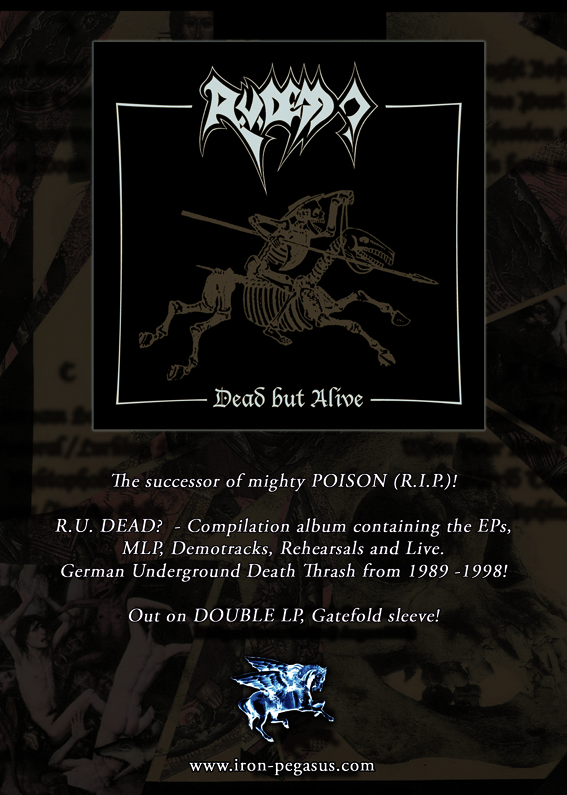 “Dead but Alive” Double LP is OUT ! R.U.DEAD? was the successor of mighty POISON/ Germany! “DEAD BY ALIVE” is collection of their releases plus rare live songs. 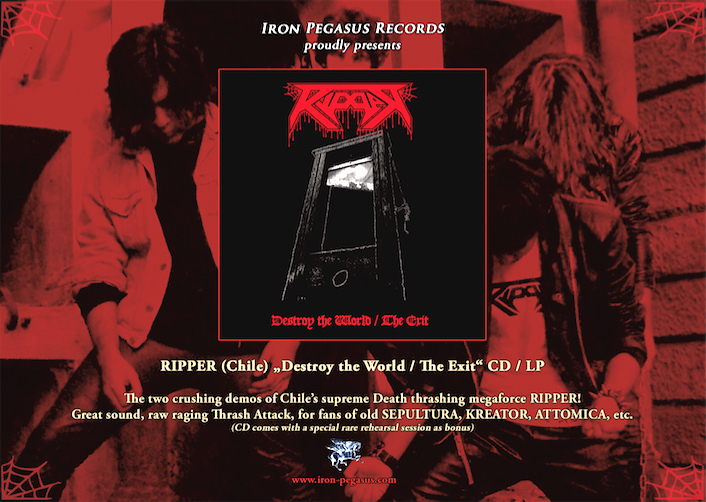 More than 90 minutes of aggressive German Thrash/Death Metal from the old underground!! 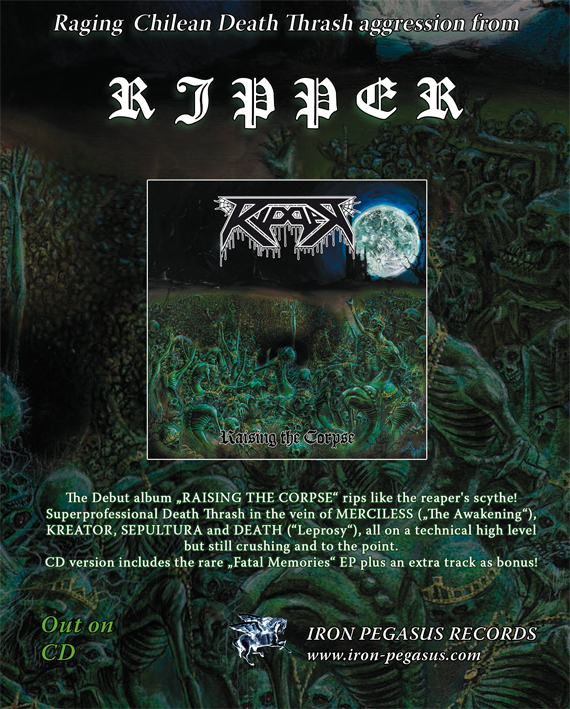 RIPPER is one of the hottest new aggressive raging Death Thrash forces! The debut album “Raising the Corpse” is out now! 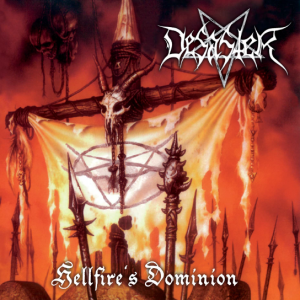 Imagine a mix of 1st MERCILESS, old KREATOR and DEATH’s “Leprosy”, all very well played with a superb production. The CD version comes with the “Fatal Memories” EP as special bonus, more than 66 Minutes playing time. The Vinyl version is out now as well. A new classic deep from the depths of the underground on Vinyl! 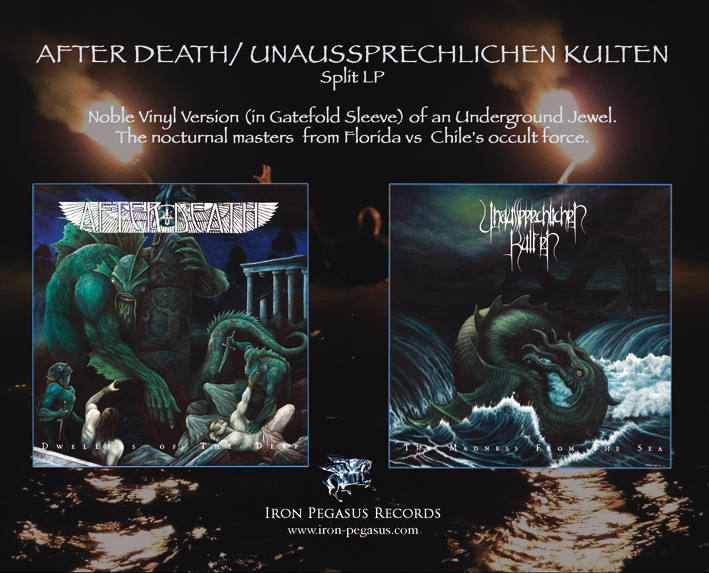 AFTER DEATH (feat Mike Browning of NOCTURNUS/ INCUBUS/ Ex- MORBID ANGEL) needs no introduction, and UNAUSSPRECHLICHEN KULTEN are known to the black hordes into occult ‘n’ dark Death Metal. Comes in beautiful gatefold sleeve. 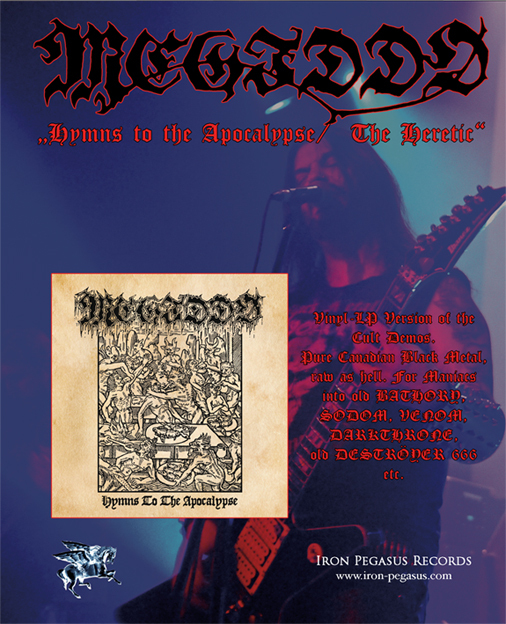 Also, the two grim demos “Hymns to the Apocalypse” / “The Heretic” are released on LP! “FIVE CANDLES BURNING RED” CD is out. 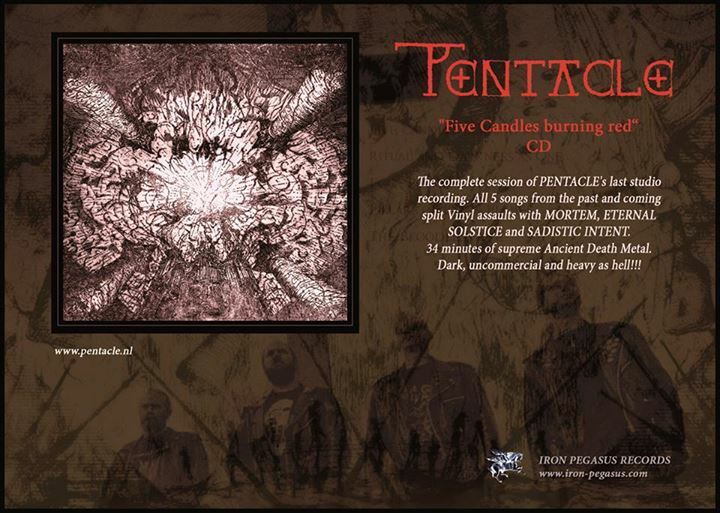 The complete recording session of PENTACLE’s last studio recording. All 5 songs from the past and coming split assaults with MORTEM, ETERNAL SOLSTICE and SADISTIC INTENT. 34 minutes of supreme Ancient Death Metal. Dark, uncommercial and heavy!!! Also, the band’s debut album “…Rides the Moonstorm”, which was hard to find in America, is available again on CD, with a 24 page booklet, true value for money. New release from Los Angeles’ UNHOLY LUST is OUT! It is called “Banished from the Light” and includes total crushing dark and heavy Death Metal in the old school style. 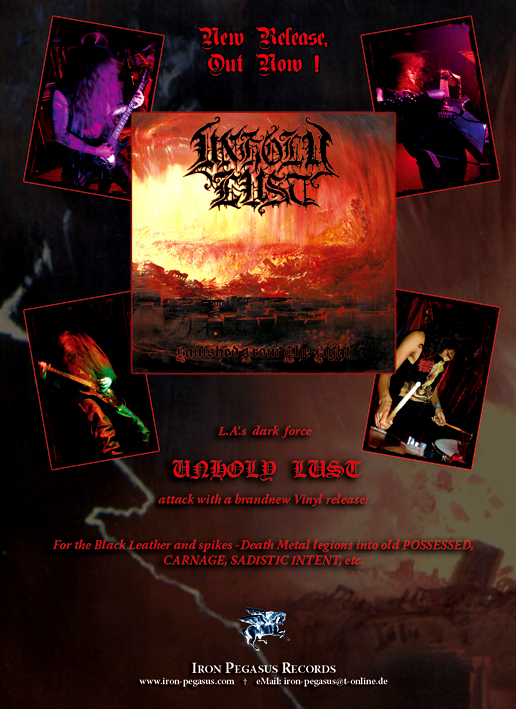 If you love (80s) POSSESSED , CARNAGE, MORBID ANGEL, SADISTIC INTENT, etc., then UNHOLY LUST will be your kind of band. 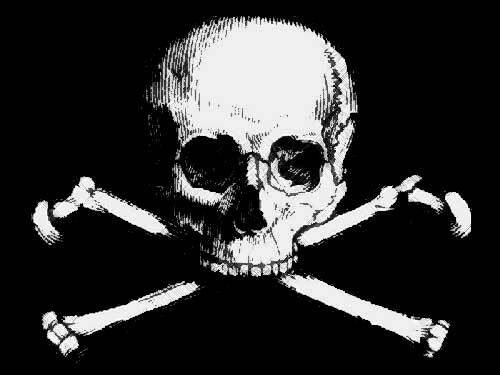 The band themselves say they are influenced by “the damned, dead and drunk”.